Posted on July 7, 2017 at 8:25 am. Got plumbing problems in Longview, TX? Napps has your back. 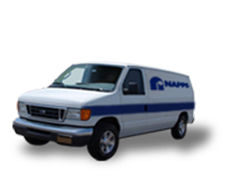 Napps is the most preferred plumbing service provider by most homeowners and business owners in Longview and surrounding areas. Our reputation has been a result of our hard work and strong commitment to delivering excellent customer service and value for your money. Our team has a philosophy that is primarily built upon arriving promptly to your place, good manners, and evaluating every job to be done and how the process will be carried out. We thoroughly communicate with our clients because we believe that it’s the key to providing custom plumbing services effectively. Got a clogged drain? Don’t worry! Napps has your back. We know that a clogged drain can bring your property into a complete standstill, so we’ll unclog it and we will assure that you’ll be back in the flow as soon as possible. Our Napps plumbers will unclog your drain and recommend a reliable maintenance product and some tips to keep your drains flowing freely. Our team is expert at any types of sewer and drain line problems. Do you want to replace or upgrade your existing plumbing fixture or a new installation in your home or office? Give us a call at Napps to ensure satisfactory services. 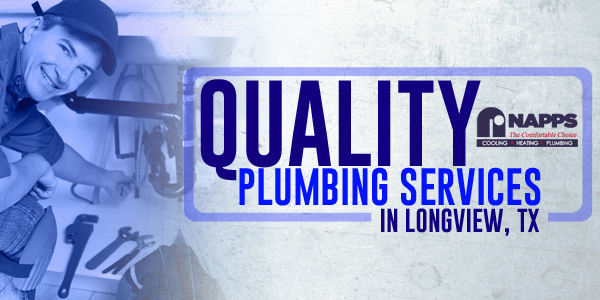 Our professional plumbers are highly competent when it comes to all plumbing installations. Call us today for a prompt installation or upgrade in Longview, TX. If you think that the annoying sound of your leaking toilet is not a big deal and can be easily fixed at some other time, you better think twice. As a smart homeowner, you should know that such minor issue can lead to a late night panic in search for a plumber. Contact Napps today to learn more about our plumbing services.